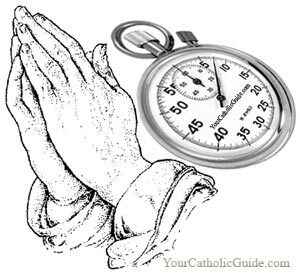 A daily minute of prayer is a short prayer, so in a day, how often do we take time out for the Lord? At home, in our office and even in our daily routine, do we stop to give Him praise, thank Him for the many blessings, or even ask for His guidance? The list below are selected prayers that will help us improve our prayer life. It will just take us a minute to read specific prayer that suits our needs or just pray the suggested daily minute prayer of the day above this site. We can pray alone, with our family, or as a group. So, make it a habit to spend a minute of prayer with the Lord daily and let that prayer be a reminder and guide for the rest of our day.